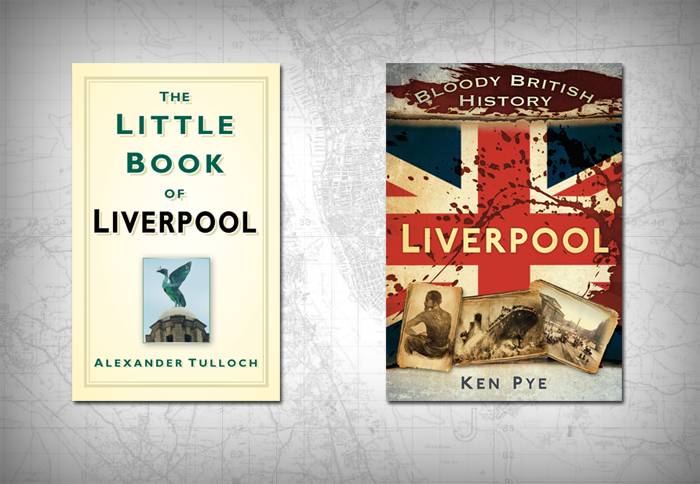 New books on the history of Liverpool are released all the time. Here I’ve reviewed brand new titles that have been released, as well as older books that I’ve just come across but think you’ll be interested in. Historic England are the government’s adviser on the historic environment, so they have a duty to encourage the enjoyment of England’s history. Part of this remit is to manage the Historic England Archive, from which a new series of books takes its content. The volume I review here is, you’ll be shocked to learn, Liverpool. The Historic England Archive holds over 12 million photographs, documents, plans and drawings covering the whole country. They run a public service where you can contact them to find out what they have, and get copies made for you. But you don’t need to do that right now, as Hugh Hollinghurst has put together a neat little collection published by Amberley. 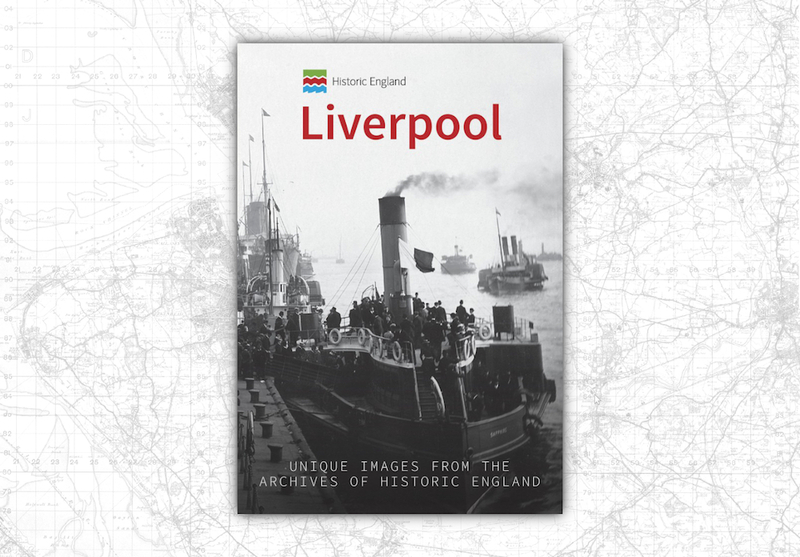 There are literally a billion books containing archive photographs of Liverpool. I’ve reviewed some of the best (and some of the worst) on here. I judge the books by their cover, and also by their content, and most importantly by the captions on the images. Many books are content to give you about 15 words on the old photo, giving very little context or detail, and often getting things wrong. It’s not that this book is entirely error free (there’s one big blooper in there) but the length of the captions and the lack of nostalgic rose-tinted spectacles mean they’re not an issue. 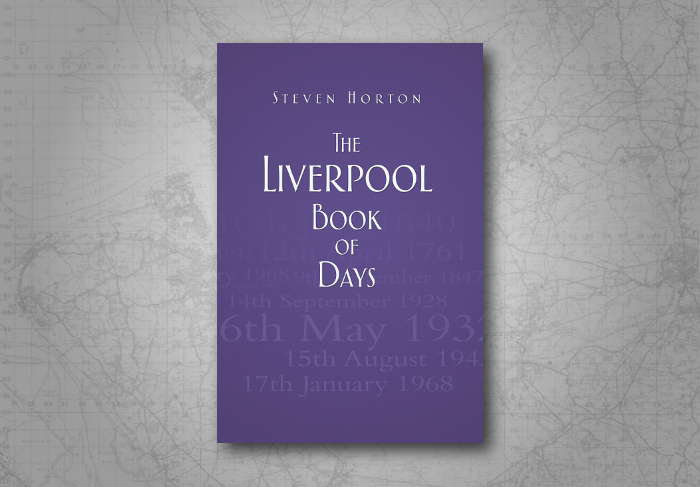 The book is 95 pages long and has photos and also paintings from a wide gamut of Liverpool’s history. 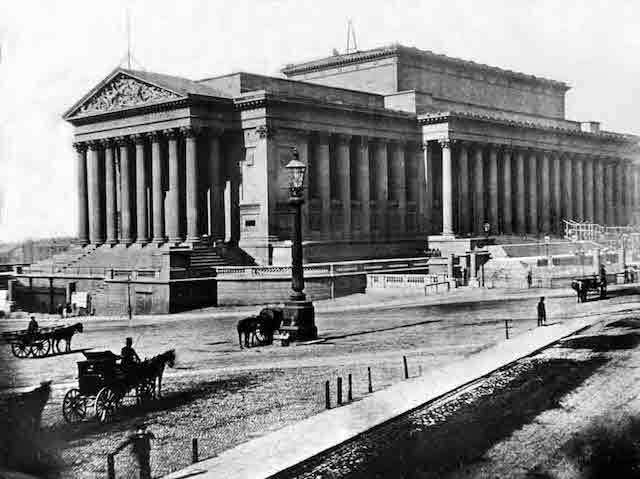 The earliest photograph is possibly the earliest photograph of Liverpool – St. George’s Hall, in 1855. (What we would recognise as photography had barely been around for a decade and a half by this point). It’s no secret that old photographs are a great reminder of the layout of the former city. It’s fascinating to see places like the Pier Head without its Three Graces. 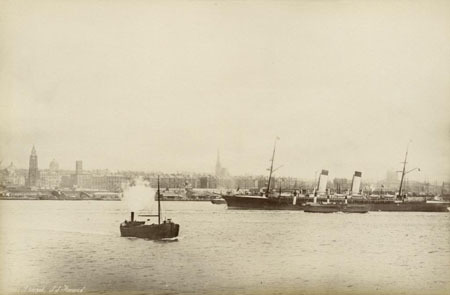 George’s Dock was divided into three and filled in around the turn of the 20th century, and Liverpool’s three gems erected over the next two decades. The photos are in batches, so we see a couple charting the development of the Pier Head from the 1990s to today. We also see the Goree Piazzas from different angles, revealing the changing waterfront. There are explicit links between the captions, so this is much more than a scattershot ‘photo album’ approach. There’s a fascinating panorama in the new book which shows a golden skyline, almost completely uniform in height. The only things that venture above the general roofline are the Customs House and St. Nicholas’s church. The age of the photograph and this uniformity lend it the appearance of Venice. It’s a post-Blitz image which opens the book, and the first section, ‘Docks’. An aerial image, the most surprising thing about it is the neatness of it. It’s much like you’d expect a post-nuclear city to look. No life, no rubble, just clean squares where buildings once stood and the Customs House’s foundations like an I-beam embedded in the Earth. Both the Customs House and the Sailor’s Home are some of Liverpool’s most famous and regretted losses. Hollinghurst talks about these demolitions with admirable neutrality. The Customs House had been identified as a difficult building to use or re-use as early as 1910, and the ‘prison-like’ interior of the Sailor’s Home condemned it once it required telegraph poles to shore up its frontage (see page 8 for that striking image). No doubt counter-arguments can and will continue to be made, but its interesting to hear the evidence. Historic England’s Aerofilms archive has a wealth of aerial shots of the docks, and a couple are in this book. Here we’re treated to some of the less well-known docks, like Bramley Moore and Huskisson in the north. We see handsome liners and hefty cargo ships coming and going. We’d do well to remember that it isn’t just the Albert Dock that Liverpool’s wealth rested on. As well as the wide shots of historic landscapes, Liverpool includes interiors and details. There are high quality shots of windows in the Port of Liverpool Building, and carvings on the Cunard Building. Photos show lavish Edwardian interiors of the Cunard and White Star Buildings, including an office in the latter, beautifully neat with gorgeous brass lamps and elaborate ceiling mouldings. Which of the great and good of previous centuries might have looked out on this vista, waiting for their ship to come in? As well as buildings and docks, the old photos take in stations and rails. The Overhead Railway features on an impressive aerial shot, snaking like a giant Scalextric past Herculaneum and the other northern docks. Other photos show ground-based scenes. There’s a busy intersection on the Strand in one. Little more than the stanchions which held the rails up remaining in another. (This allows Hollinghurst to date that particular image to 1957). Hollinghurst divides the book into eight chapters (amongst them Transport, Docks, Leisure and Homes), but it’s clear to see the connections between them. Even the Homes chapter includes archive images of Goodison Park and the industrial landscape of Aintree (with its Hartley’s Village). 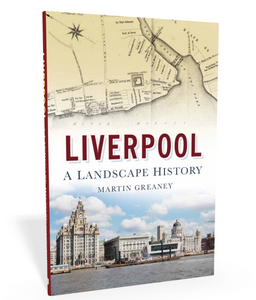 The book brilliantly captures the intertwining elements of Liverpool’s history. The amount of information in the captions makes them almost more than mere captions. Some of the photos are rarities or otherwise unusual. As someone who has seen hundreds of old images of the city over the years it’s getting harder to find something new. I think the depths of the Historic England Archive have yet to be fully plumbed! My only real gripe is that it’s not easy to cross-reference this book with the archive itself. The images from Historic England are labelled as such, but the reference numbers are not here. You’ll have to do an intelligent search on the Historic England Archive website to find them. 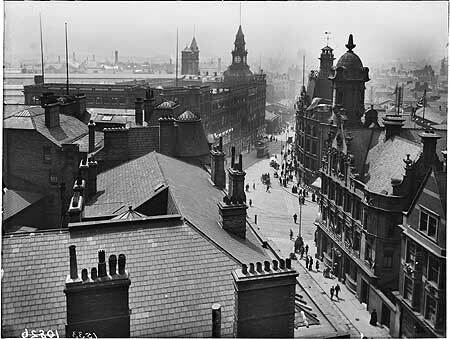 Liverpool: unique images from the archives of Historic England is written by Hugh Hollinghurst with Historic England. It was published in 2018 by Amberley Press. You can get it from Amazon UK (affiliate link) or direct from Amberley’s website. 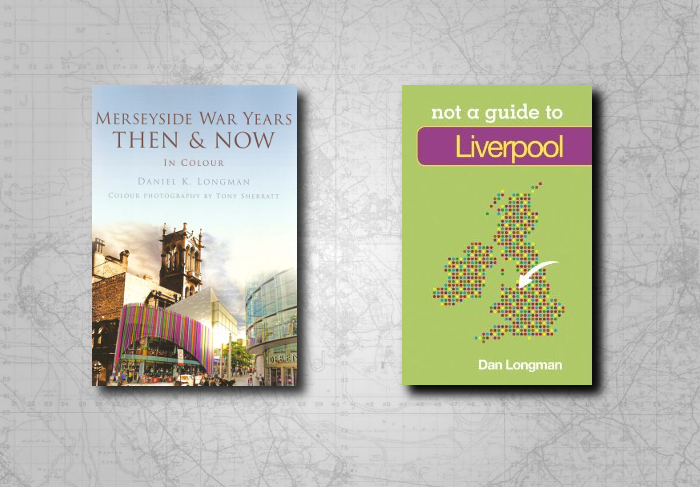 Two disclaimers: I used to work for the Historic England Archive (when it was the National Monuments Record, part of the then English Heritage), and also I was honoured to see my own book, Liverpool: a landscape history recommended in its opening pages, next to my favourite Liverpool volumes. 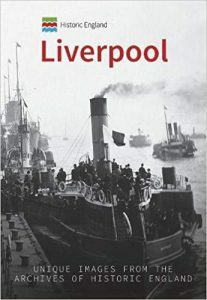 Still, I think this book is worth checking out, even if you think you’ve see every old photograph of Liverpool. Modern administrative areas have little meaning when we go back even a short time. 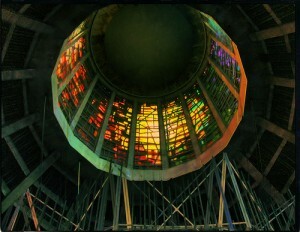 But they can make all the difference when it comes to modern heritage work. 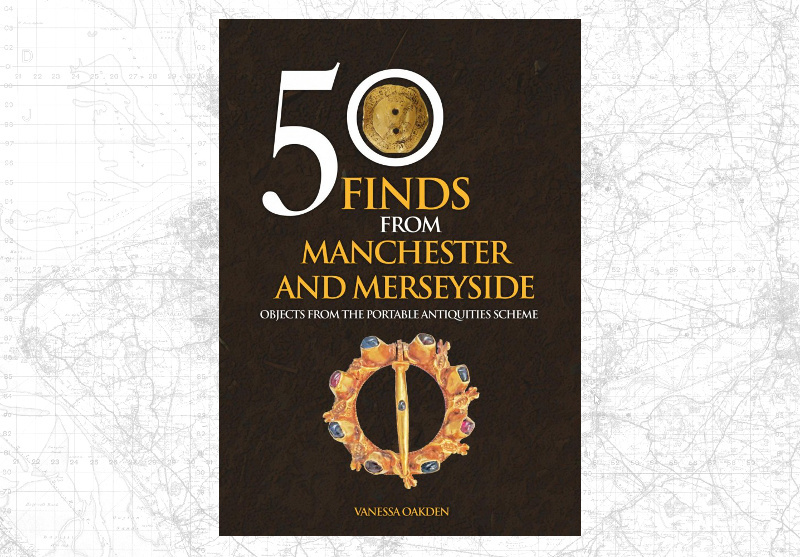 So that’s why we have this book on finds from Manchester and Merseyside, which span the ages, and covers objects discovered through the Portable Antiquities Scheme (PAS). The PAS was begun in 1997 to deal with the thorny issue of random finds discovered by metal detectorists, ramblers and anyone else stumbling across historic artefacts outside of a formal archaeological investigation. Until then, the law surrounding what happened to buried artefacts depended on what they were made of. Things deemed ‘treasure’ were generally those which were judged to have been buried with the intention of the owner coming back for them, and this was generally taken to mean coins and precious metal. So, for example, the famous Sutton Hoo ship was not treasure, because no one intended to recover it, and it was largely wood and iron. However, there’s no doubt that any chance finds from that feature would have been immensely important to archaeologists! So today, if you find something of historical interest, you can report it to your local PAS officer who will record it and add it to the database. 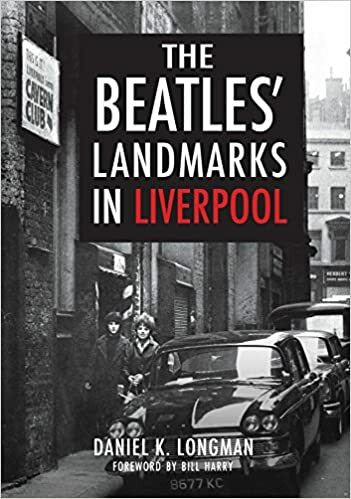 Merseyside’s officer (as well as being the officer for Cheshire and Greater Manchester) is Vanessa Oakden, who’s based at the Museum of Liverpool, and it’s a new book of her’s I’m looking at here. This book is just one in a series covering all the counties where the PAS operates, all published by Amberley Press. It takes some of the best finds from the two counties to display the good work of the Scheme. The book’s not only here to show off the best finds, however, but also to remind readers of the importance of reporting chance finds, and of making a note of where exactly something was found. This is of particular importance if the find is a piece of flint, as often the exact distribution of a scatter of flint debris is what gives archaeologists the important clues. The book is a heavily illustrated volume containing colour photos of all the finds mentioned, from different angles, including similar finds from elsewhere which give a bit of context. The impressive thing is that Vanessa shows a wide ranging knowledge, which must be a requirement for the job, at least to some extent. That must be the best thing about the role – coming into contact with different eras of human history each day! Where does the landscape interest come in? Well, with a county-wide remit, the distribution maps in this book show that it’s not just the individual finds which bring through the knowledge, but how they’re ranged across the land. A national map of terrets (a type of harness fitting) show that they’re particularly common in the north east of England, and therefore all the more interesting when they turn up in south Lancashire. The challenge for Liverpool and Manchester, however, is that the built-up areas will have destroyed a lot of early archaeology in the digging of cellars and foundations. The most fruitful areas for finds are rural (that’s where the metal detectors go, as well) but it should be remembered that the absence of a certain find type from the urban part of Liverpool doesn’t mean it wasn’t there once. It’s complicated, this stuff! I don’t have many problems with the book. It’s a good overview of highlights from the PAS in this region, and is a fantastic advert for the scheme (along with the other books in the series). Hopefully it will encourage someone to bring in finds they might otherwise have kept to themselves. If I had to say anything against it, it might be that the maps could have been a little more consistent. They came from different sources, but could easily have been standardised to help comparisons. There were also a couple of terms I didn’t understand, such as ‘rowells’, mentioned in an entry on a find of broken spurs from Bebington (they’re the spiky wheels on the heel of the spur). Still, that doesn’t take away much from what is a handy archaeological overview of the counties covered, and finds-centred books are rare on the popular bookshelf. If you’ve got a book that you’d like me to review, please get in touch via the Contact page. I can’t deny it – I’ve waited a long time to be able to say this: I have written a book, and someone has agreed to publish it. 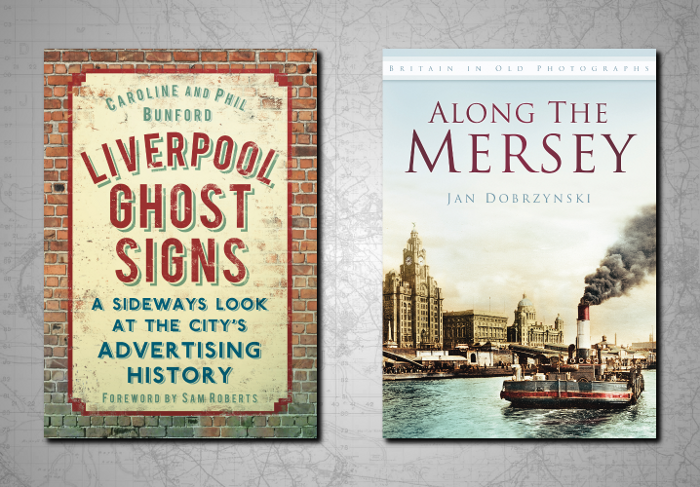 Our Liverpool (subtitled Memories of Life in Disappearing Britain) is part of the Disappearing Britain series from Headline Publishing, and the third oral history volume from author J.P. Dudgeon, whose previous include Our Glasgow and Our East End. When I first picked up this book I wondered how an outsider would portray the city, and how they’d get into the community. I also wondered whether it would have much to say about the landscape of Liverpool, as that’s what this website is all about. I have to say I was very pleasantly surprised. 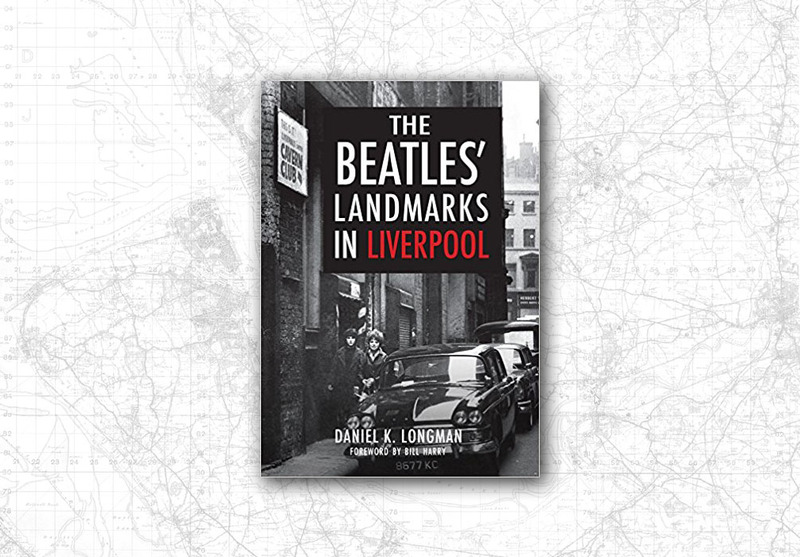 Although it takes some time to settle down, Dudgeon pulls together interviews new and old (as well as some written sources) to paint the landscapes of Liverpool in vivid strokes. 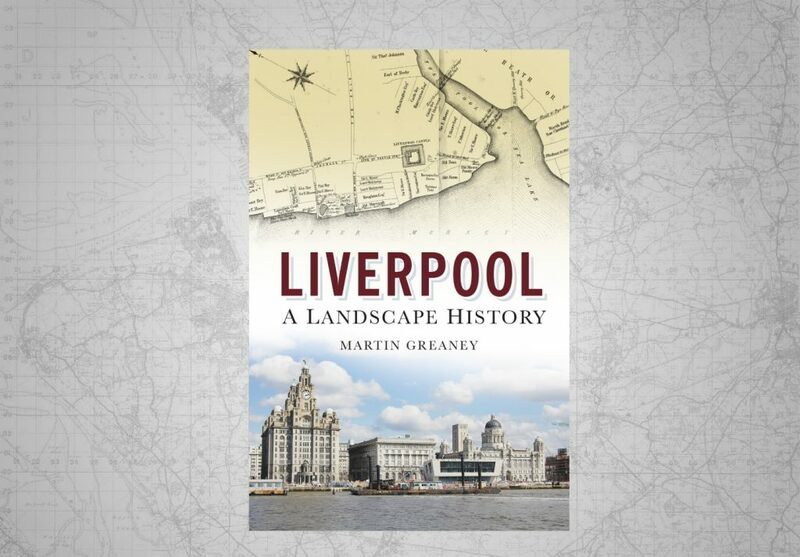 This book has added a new layer to what I think of as the landscape of Liverpool. The main body of the book consists of interviews with local residents. Some were conducted by the author for this book while others were found in the archives of Liverpool Record Office. The book opens with a Beatles anecdote (perhaps inevitably) from a chap in a town centre pub. After that it takes in stories from dozens of other Scousers, including professional historians like Eric Lynch and Mike Royden. These experts give both historical detail as well as personal accounts, and add a variety and sheen that might otherwise be missing from an ordinary oral history. The first thing that surprised me was just how far back this history goes. There’s a sketch map of Liverpool in the 13th Century, and discussion surrounds the older important places such as Toxteth and West Derby, as well as the Vikings and the Norman invasion. These early book chapters take the reader through to the end of the nineteenth century, the call of the sea (a recurrent theme) and the horrors of the slave trade. This summary of the causes of these riots seem to have lost something in the editing process. The origins of the riots are discussed in more detail later on, but finding this near the beginning of the book worried me as to the extent of Dudgeon’s historical knowledge. The first few chapters suffer a bit from this over-keenness to buy into the spirit of the town, and the odd skipping around topics (Williamson’s Tunnels are tossed in just after slavery, perhaps just to maintain chronological order), but once the book gets going, it settles into a pacey, emotional, passionate and compelling story of the city told through the eyes of its inhabitants. 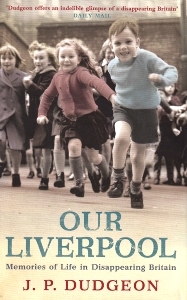 Our Liverpool is a people’s history of the city. While not consisting of landmarks (as such) or maps, what comes out is exactly what historians of pre-writing periods have been trying for years to achieve: a psychological landscape of the region. What are the landmarks, boundaries and territories in people’s minds? These are of huge importance to local people (as the book successfully shows); they are shared and they help bind and separate communities. Where prehistorians are completely lacking in this type evidence, Our Liverpool ensures that we will never wonder what it felt like to live in Liverpool up to the 21st Century. For me the book depicts ‘landscapes’ like Scottie Road, the Seamans’ Home, even the Pier Head and the sea herself as stages on which life takes place. The sea especially takes a starring role: it pulls young lads to the navy, it bounds the city on one side, it brings in people and steals them away and it is the lifeblood of trade. The chapters covering the 1930s, 40s and 50s are coloured with some nostalgia. 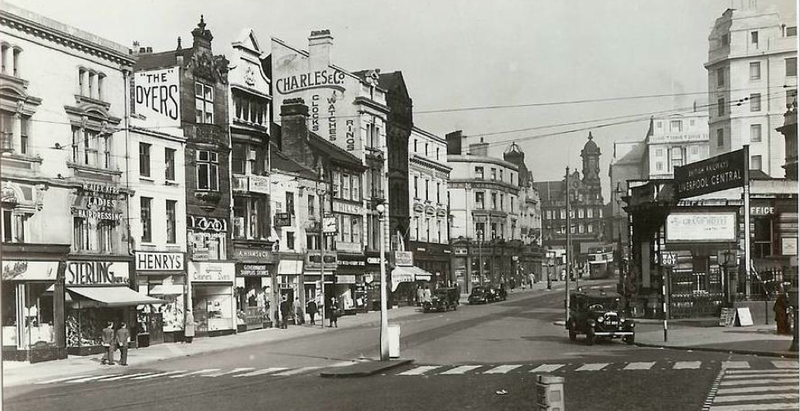 The 1940s especially seem to have been a golden age in Liverpool. Maybe this is because certain interviewees have particularly fond (childhood) memories of this time, or perhaps because this was just before communities were ripped apart and shipped to the four corners of Merseyside in the following decades. As you can see, location (landscape) is everything to society in tough times. Chapter 11, ‘Sixties Transformation’, is the longest chapter, as the decade was perhaps the one which most shaped the people of Liverpool for years afterwards. Whereas earlier chapters show the importance of large areas, suddenly ‘territories’ are the clubs you go to, the pubs you drink in and the community centres you frequent. Race and religion become increasingly divisive (and inclusive) as area-based community solidarity was broken up by the Council wrecking ball. This theme carries through to the end of the book. Scotland Road is turned into a sterile dual carriageway devoid of housing. People move away and where you live seems to become less important as family ties to an area are broken. It’s implied that this is a major contribution to the breakdown of society, and I for one wouldn’t argue against it being a factor. It may be through rose-tinted spectacles, but people paint a picture of a lost time where violence was honest, short lived and bare-fisted, and no grudges were held. These days, it seems, knives, guns and drugs put a new edge on gangland rivalries which the community cannot absorb, as there is no community left. By this point in the book Dudgeon seems to know his subjects much more closely. He becomes a passionate neo-Scouser giving voice to the people he found in Liverpool, a voice often lost or ignored. Perhaps his initial outsider status helped him gain the trust of the people he spoke to. So is this a book for the local historian, or a nostalgia-fest for the armchair sociologist? I was a bit sceptical at the start, and was worried by the strange historical details in early chapters. But having read through the trials and tribulations of these Liverpudlians, and seen how the roads, streets and lanes of their city create the psychological landscapes which shape every aspect of their lives, it’s like a new layer has been added to the maps found in the archives. The territories walked by these people are just as real and clear cut as the boundaries on a ward map, as enabling and constricting a feature as was the Pool itself which lent life to the young town. It’s a book which will be of interest to those who enjoyed the Lost Tribes of Everton, and is a document which will be of invaluable help to present and future historians wanting to know how people used the landscape, how they crossed it during their daily movements, and how it shaped the people they are. A new book is released this month by Stephen Bayley, and published by RIBA. 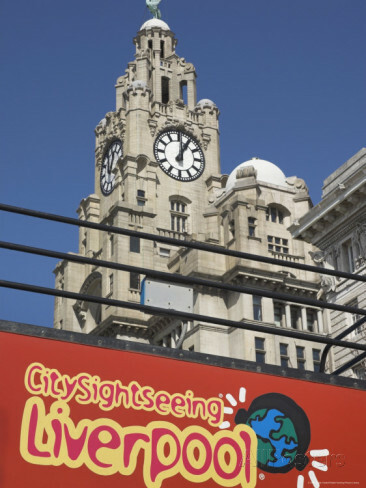 Liverpool: Shaping the City is a large and colourful exploration of the city’s built history. 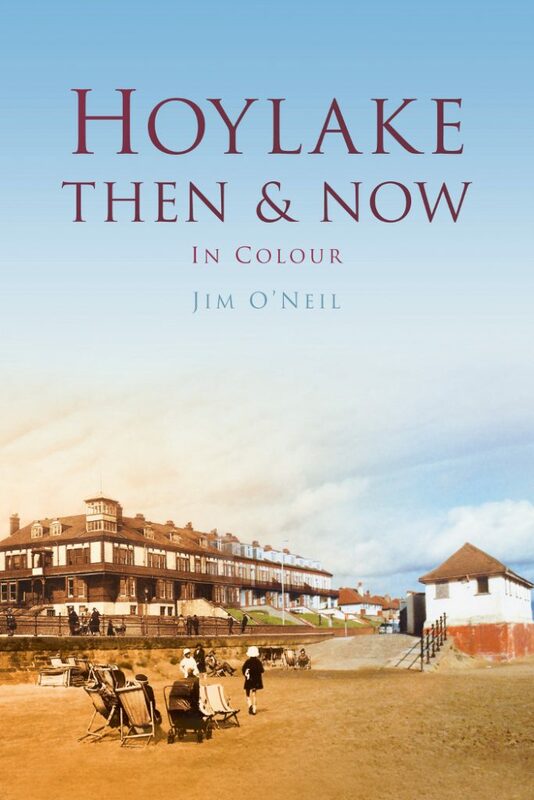 It includes development, old and new and brings in photographs from the early 20th Century when some of Merseyside’s most iconic buildings were being constructed. We learn in the Foreword by RIBA’s president Ruth Reed that Liverpool can lay claim to three world firsts in architecture: the first building to use skyscraper technology (Oriel Chambers in Water Street), the first wet dock (no prizes for guessing) and the first hydraulic cargo-handling system. Perhaps I’ll come back to a full review of this book once I’ve read it (it only arrived this morning! 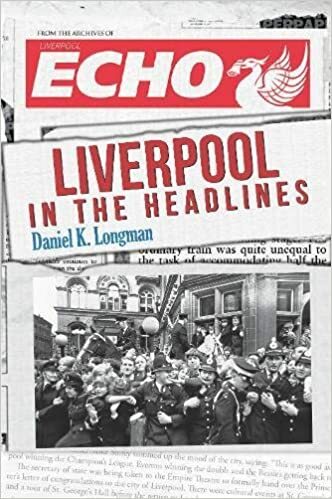 ), but suffice to say it looks to include good coverage of how Liverpool has developed as a city, and how it does and will continue to change as the years progress. Meanwhile, you can read a column in the Times by Stephen Bayley, How Liverpool returned from the dead which introduces some ideas from the book. His main point is that you can ‘design your way out of a depression’ by building cities which bring joy to people. From a personal point of view, I whole-heartedly agree (though my cynicism would reword it as ‘design yourself towards the end of a depression), which is why I – and others – get so animated when an ugly construction is plonked down in a beloved vista. My favourite quote from the article, and one which almost single-handedly justifies this blog and my interests in Liverpool’s buildings, is “We make our environments and then our environments make us”. He suggests putting it on a T-shirt, and I just might. I’d like to review two books recently added to the NMR’s Library, which both have use for the local historian, and yet which are very different approaches to explaining their field. 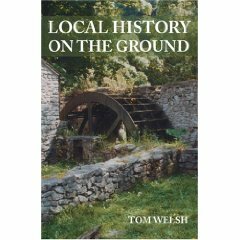 The first is Local History on the Ground by Tom Welsh (The History Press, 2009). I picked up this book hoping to recommend a good starting point for learning how to approach local history research. Instead, it’s a much more informative lesson on how not to approach the study of your local area. Dr. Tom Welsh is a senior lecturer in Geography. * This shows in his clear writing style, good structure and approachable tone. He also has a number of good tips to help the amateur landscape historian gain access to places often difficult to see. However, the man has a bee in his bonnet, and over the course of the book this bee gets in the way of his point, and it becomes increasingly obvious over time just what the problem is. The clues come early on with Welsh’s keenness to separate ‘archaeology’ from ‘local history’. To Welsh, archaeology is systematic, scientific and prescriptive to the point of boredom. Local history is emotional, following-your-nose and instinctive, to the point of passion. Archaeologists get bogged down in the minutiae of sites and objects, and ignore the wider landscape, and are obsessed with the “scare story” that is stratigraphy. Another issue is their insistence of walking in straight lines over the ground (“systematic survey”) which is done to remove any biases and ensure objectivity when identifying features (“Why does ecology not get bogged down with this?”). He’s clearly unaware that the specific technique of field walking has the aim of identifying finds on recently-ploughed land, and has little concern with features. Systematic survey is something different altogether. After distancing himself from archaeology (the study of the past through interpretation of material remains and environmental data, including architecture, artifacts, features, biofacts, and landscapes (Wikipedia)) he soon begins to reveal just how much vitriol he has for the profession. Archaeologists are defensive of their data, and of the historic environment in general (“a lot of heritage goes unnoticed as a result”). Amateurs are a nuisance to them, and they never (ever) let an amateur contribute to, say, the Historic Environment Record. By Page 91 it has been revealed that archaeologists seem to have snubbed Welsh’s own attempted contributions over the last 30 years. In one example of his work, he suggests that a hilltop site at Auchingoul is not a quarry, as the archaeologists suggest, but a Roman camp (an interpretation dismissed by OGS Crawford 60 years ago). He has done the fieldwork to prove it, and his neat little sketch shows a series of ponds, more ponds, a double pond, and an ‘access to pond’ track. Not sure where the Romans where meant to actually live, or why the famously standardised Roman camp template was abandoned. Perhaps because this site was 150 miles from the edge of the Roman empire. So having never heard of landscape archaeology, or possessing any understanding of archaeological stratigraphy (he should realise it’s not just between sites, but within sites, and within features!) or fieldwalking, or geoarchaeology (archaeologists ignore geology, apparently), what has Welsh brought to the table in terms of technique? He clearly realises that landscape is the key to interpreting sites, but it seems that houses, tarmac and recent buildings get in the way of this. Despite his great contributions to the field of landscape history, W.G. Hoskins also made the mistake of seeing modern development as a muddying of the archaeological record, rather than an intrinsic part of it. And perhaps some archaeology is too concerned with classification (it certainly was when the majority of Welsh’s sources were written, in the 60s and 70s). But when you are working at a national scale, such similarities between far-flung settlements are actually informative, and help take the researcher further. Tom Welsh has clearly had a lot of trouble over the years trying to convince archaeologists that his interpretations of sites are superior to the ‘official’ one. However, that is no reason to let your problems get in the way of your book, and in this case it really does. Another author, Margaret Gelling, writes in a similar way when looking at place-name research. While her books are excellent, invaluable texts, her insistence on constantly reminding us that we should keep such research in the hands of the professionals is almost the equal and opposite of Welsh’s idea. It spoils the readability of her work, and should be left out. History on the Ground is a useful book. It has many great ideas on how to overcome barriers to research in your local area (get on the top deck of a bus for a better look), and goes systematically through the various elements of the landscape which you should examine in local history fieldwork. However, don’t let it put you off doing your own research. What we know today has benefited from the input of amateur researchers, and will continue to do so for as long as the past is of wider interest. But it will continue to be subject to peer-review, from other amateurs as well as professionals , as how else can quality be maintained? And contrary to what Welsh implies, do join your local archaeology society, and learn from people who have been doing it for years, rather than making it up as you go along and moaning when others suggest you might be in error. And certainly don’t criticise techniques of a practice that you clearly know little about, and have no intention of learning from. 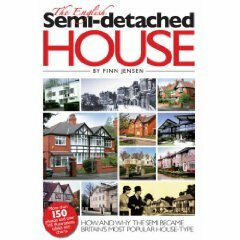 In complete contrast to this style is The English semi-detached house: how and why the semi became Britain’s most popular house type by Finn Jensen (Ovolo Publishing Ltd, 2007). Jensen has written a survey of the developments of the semi-detached house in England over the last 500 years, starting from the large urban villas of the elite, and the country cottages of the working class, and brings the history right up to date with the housing developments in large estates during the 20th Century. Thankfully he neglects to criticise others in his field, and concentrates on producing a systematic yet readable history of these much-loved buildings through the years. As this blog post has become too long already, and is really more concerned with technique than book content, suffice to say that The English Semi-detached House is an excellent resource, particularly for those readers who are researching Liverpool, and perhaps their own house, themselves. 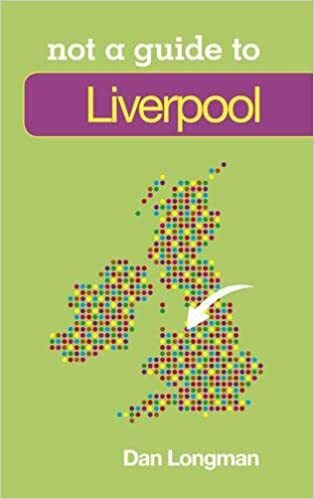 Jensen is a researcher at Liverpool John Moores University, and along with areas of London and Chester, Liverpool suburbs feature heavily throughout the book in many of the 150 illustrations which fill its pages. Fig 1.1 is itself a pair of aerial photographs of West Derby, marking its 20th Century expansion, and the sheer number of semis in the area. Many more West Derby photographs appear, in addition to photos of Runcorn, Birkenhead and south Liverpool suburbs, so the Scouse reader is left with an extensive survey of his or her home turf! Jensen was born in Denmark, yet grew up in an English semi, and his knowledge of the house form is detailed and wide-ranging. However, there is never the impression of his opinions getting in the way of the description, and the book is well referenced with a separate bibliography for each chapter. I would heartily recommend this book to anyone researching the modern suburban landscape, in addition to those looking at the older, and often larger semis more often seen in wealthy London suburbs built in (for example) the Georgian period. Welsh’s book, on the other hand, should be approached with caution, lest you be distracted by his attacks on the profession which has clearly offended him. Read Local History on the Ground for it’s investigative technique, but not for its interpretative advice! If you’ve any more books you’d recommend (or avoid! ), then do let me know in the comments. * The original review of this book stated that Dr Welsh was as senior lecturer the University Nottingham. Dr Welsh contacted me to say that this was inaccurate, and so I have edited the review to remove this reference. Sadly not a British indie version of Scorsese’s grand piece, Gangs of New York (though this book does reference the other), Gangs of Liverpool is the 2006 book by Michael Macilwee that looks into the slums of late 19th Century Liverpool to reveal the criminal gangs that ‘terrorized’ the city. 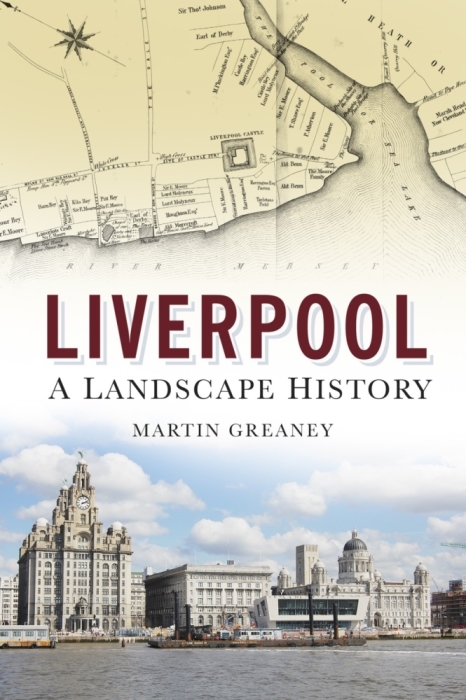 Although this is mostly a great social history of the time, it gives a fascinating glimpse into the way the landscape of Liverpool has changed in the intervening century. The majority of the ‘action’ takes place in the north of Liverpool, and the opening chapter relates the events of the ‘Tithebarn Street outrage’ – the murder of Richard Morgan in August 1874. This acts almost as the spark that ignites an explosion of violent attacks over the next 20 or so years. The book then takes us through the development of more organised gang activity – from the informal gathering of ‘Cornermen’ to the infamous ‘High Rip’ gang whose notoriety spread to the national press. As the Liverpool Landscapes website itself hopes to show, at the end of the 19th Century the Tithebarn Street/ Scotland Road area (View Larger Google Map) consisted of a mass of courts, narrow streets, dark alleys, and a pub on every corner. The photographs which dot the book, especially the generous number in the first two chapters, show how the main streets looked much more like Paradise Street or Castle Street, compared to the large office buildings which dominate today. However, as with any study of the urban landscape, it’s easy to overstate the influence the physical city has on society. Many streets of course had members of both Protestant and Catholic congregations, and indeed the two intermarried. 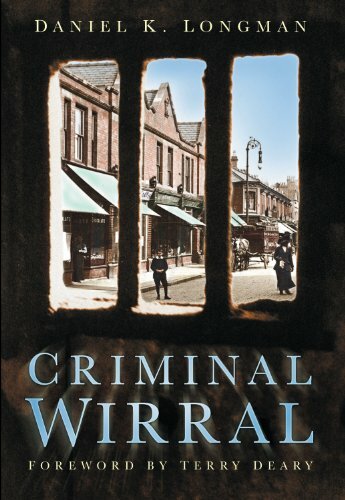 But the book sheds very interesting light on how the Victorian city looked, as well as the wider politics of defining the gangs, and the reactions of a police force often unable to properly deal with the problem. The book is a scholarly, well-written with an eye for tense narrative. It reveals an often neglected contributor to Liverpool’s reputation for lawlessness and violence, including a great glossary of ‘Underworld Slang’, which I’m certainly going to make use of in everyday life. I’d certainly recommend it for anyone looking for an engaging peek into a violent past, and a bit of an eye opener for those who think the kids are getting worse.